Jingle bells, jingle bells, jingle all the way…It’s time to sing carols, enjoy merry time with family and friends, savour tasty treats and remember the Son of God who came and lived among us to enlightened and bless all. Christmas is just around the corner. Pay attention, we are about to tell you a secret, one which will help you make the occasion extremely memorable and special for your loved ones. Are you ready? Here we go- Have a look at our not 1, 2 or 3 but 10 top Christmas gift ideas for the year 2018. Brace yourself, you might find the perfectly delightful gift for your loved ones in any of these below. So read on. Give your sweet and bright Christmas wishes to your dear ones with this fabulous Christmas gift. 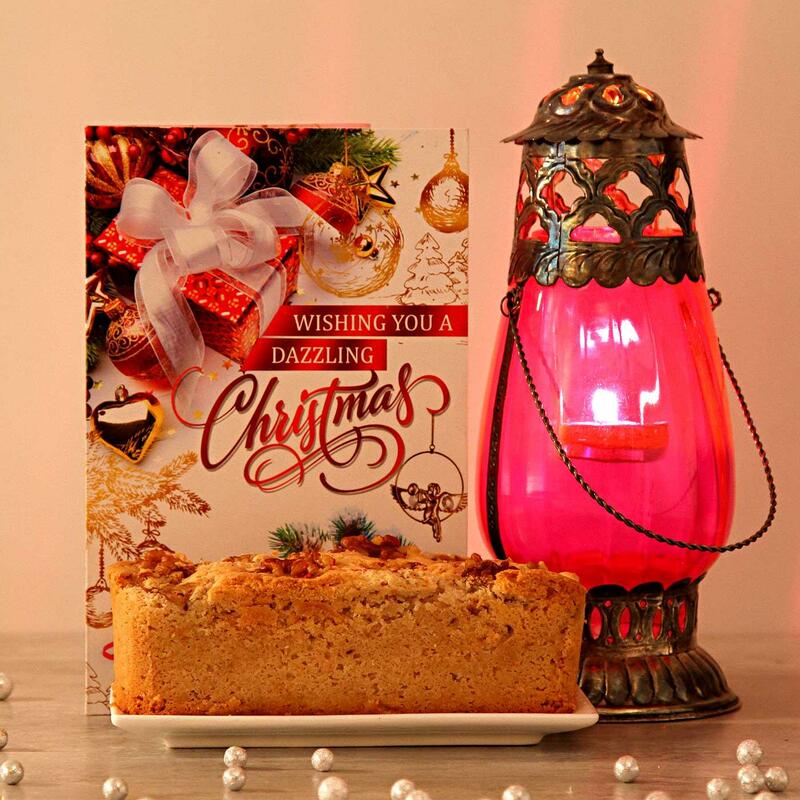 It has a spongy banana walnut cake along with a glass lantern and a Christmas greeting card. A perfect way to celebrate the birth of Lord Jesus, no? If you want a grander gift for your folks, pick this hamper. It is a combination of taste, fragrance and beauty. 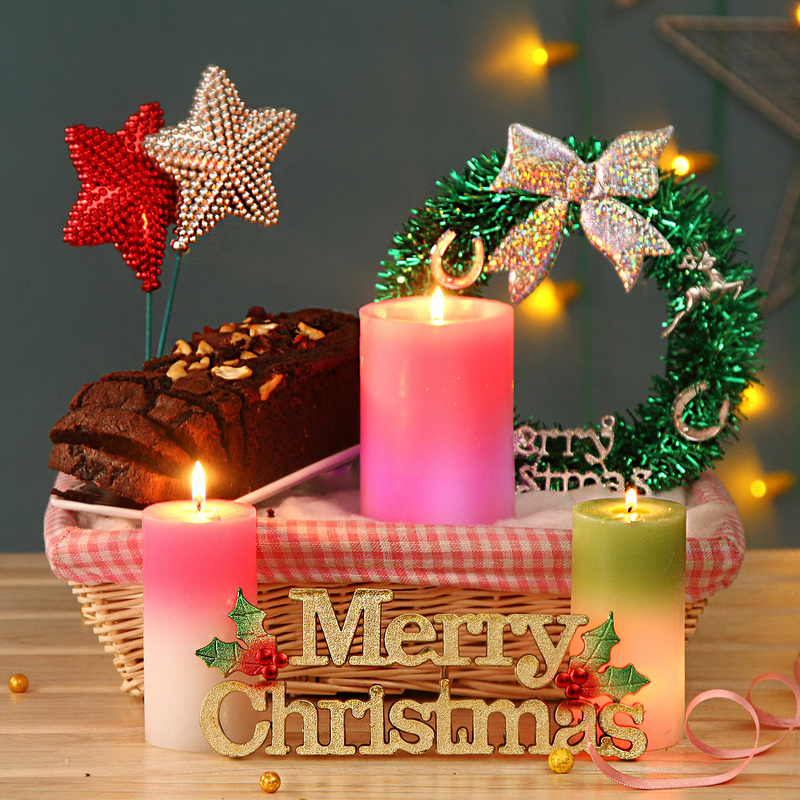 The fresh Christmas plum cake will give the taste of delight, scented candles will offer a sweet and refreshing fragrance while offering brightness, and the Christmas wreath and stars will add more beauty and celebratory vibe to your loved one’s home. Why should festivals be a test of patience for your health conscious or sugar intolerant folks? Let them also enjoy the taste of sweet indulgences without impacting their health negatively with this hamper. 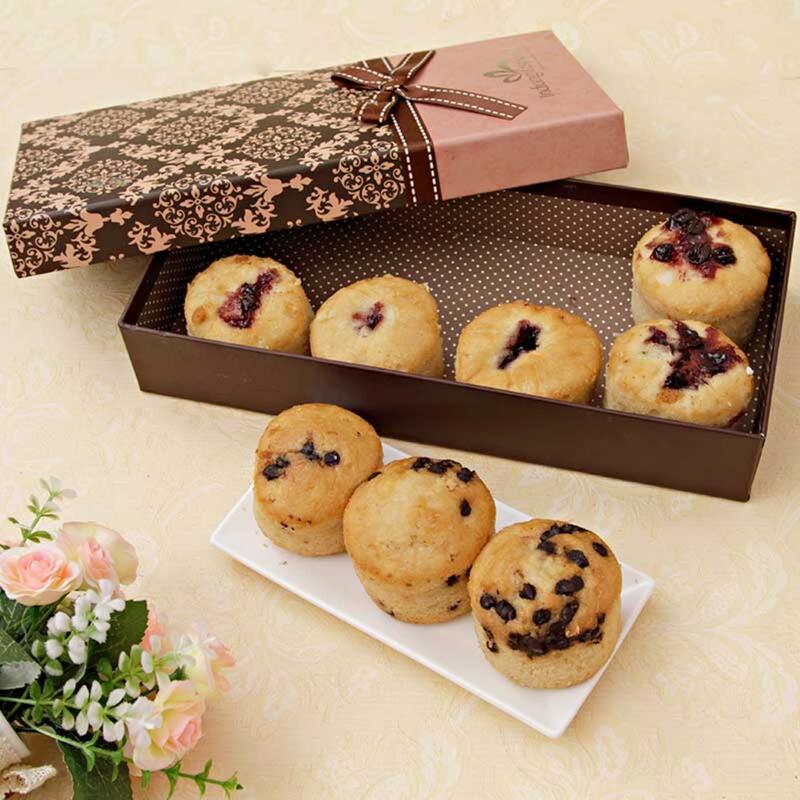 It features assorted sugar-free muffins in a gift box. 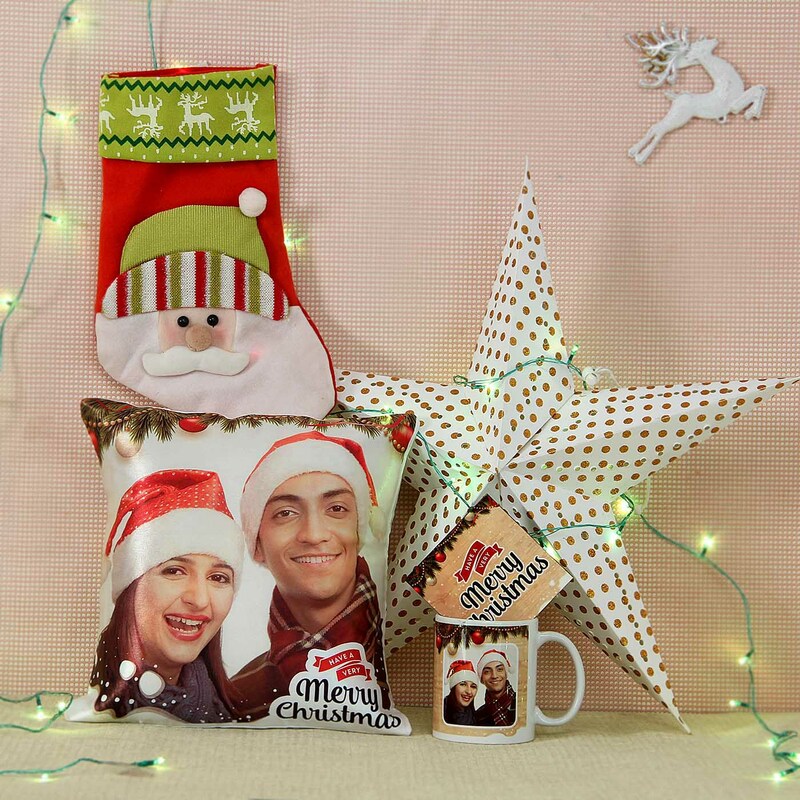 It features a huge star Christmas décor, Santa socks, personalized cushion and mug with a coaster. A perfect hamper that ensures your family or friend enjoys a merry Christmas in style, comfort and with happy memories. Wondering what to gift your or your loved ones’ kids’ for Xmas? Have a look at these hampers. 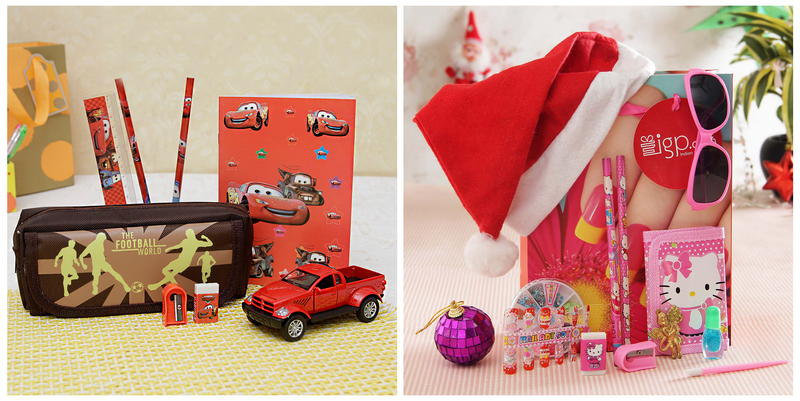 These Christmas gifts for kids are meant to entice and entertain your little ones. The girls’ gift hamper has pencils, sharpeners and other stationaries with a nail designer set and cute Christmas decoratives for your little one’s dollhouse. For little boys, this play and stationery set is a perfect one. It has a notebook, pencils, etc. featuring the theme of Cars movie along with a red pickup car. Christmas makes every devotee’s home celebratory and cherry. While everyone puts great efforts to make their home sparkle with joy, you can lend a hand to make it look more spectacular. 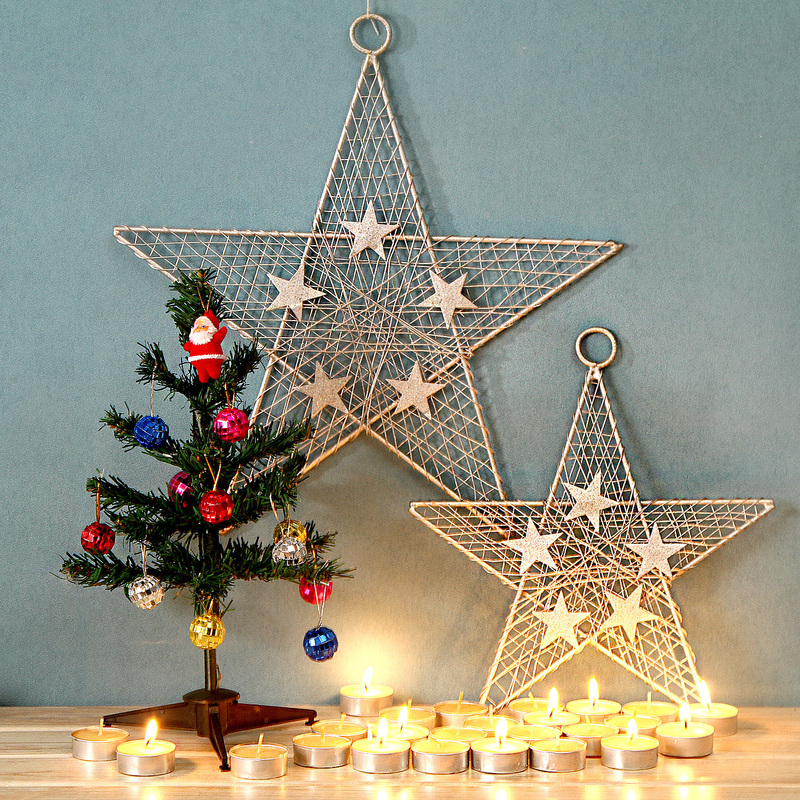 Gift awesome house decoratives for Xmas to your loved ones. 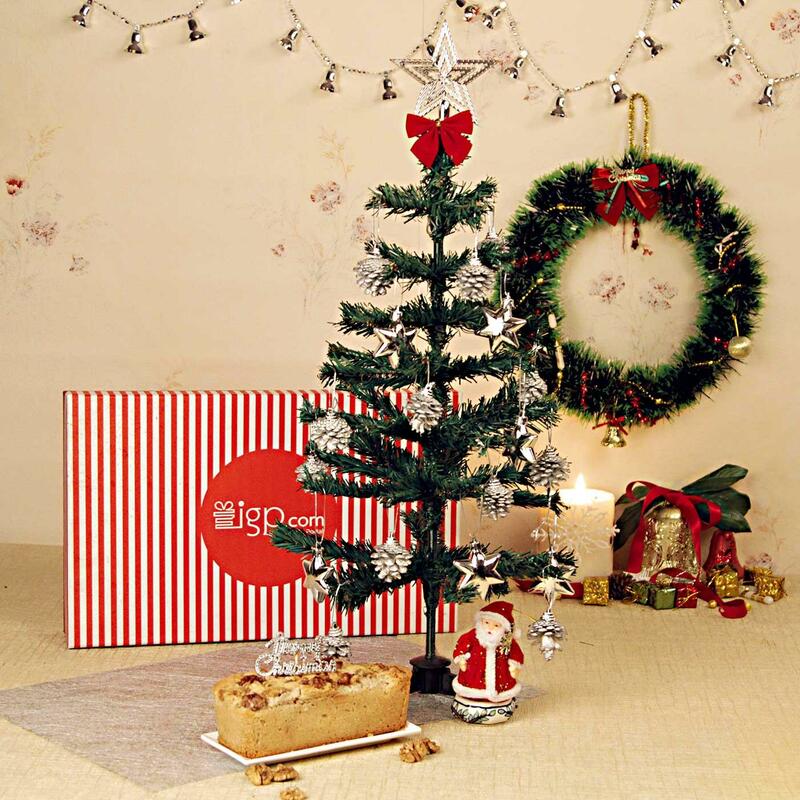 This gift hamper has big, foldable Christmas tree complete with Christmas balls and a small Santa at the top. It also has pina colada fragrance t light candles, and Christmas silver stars in a tree décor gift box. Not just houses, Christmas also demands a makeover of one’s appearance. For a spectacular Christmas gift for him, IGP presents a smart and chic Van Heusen shirt hamper. 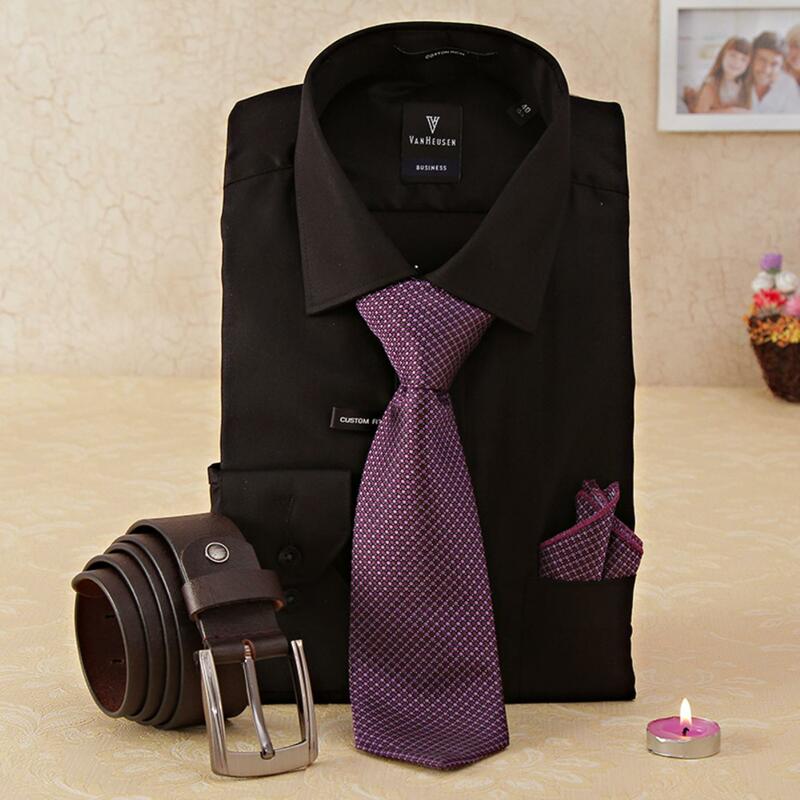 It comes along with a matching purple tie and belt. Now, you can ensure your loved one looks dashing and ready to party for the festival. 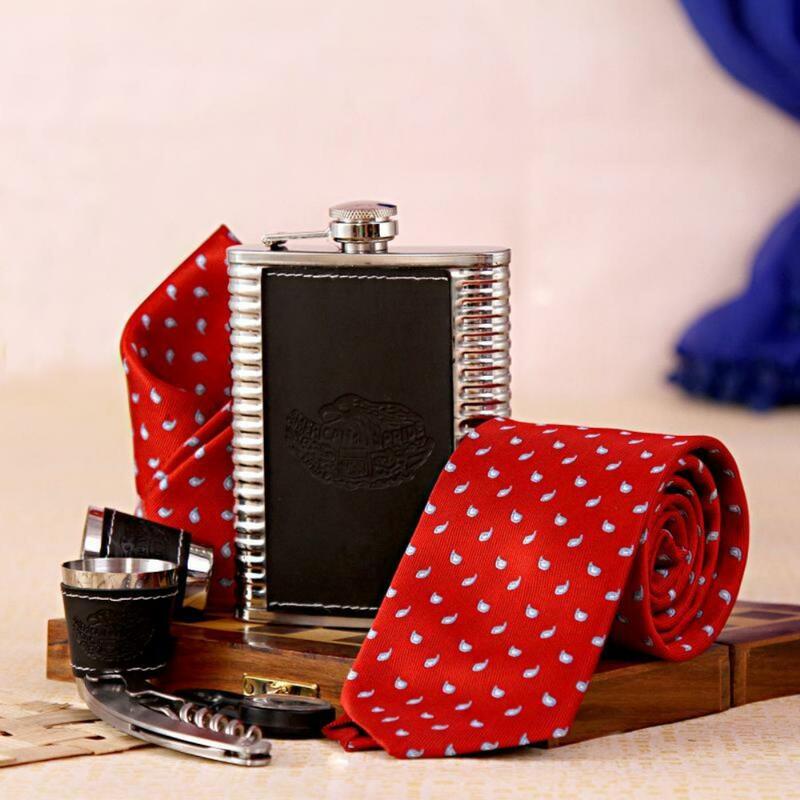 Jazz it up for your man with this tie and bar set hamper. The red tie with chic paisley design will add to your man’s smart appearance for Christmas or any other special occasion. Along with the tie, your loving man also gets a bar set. 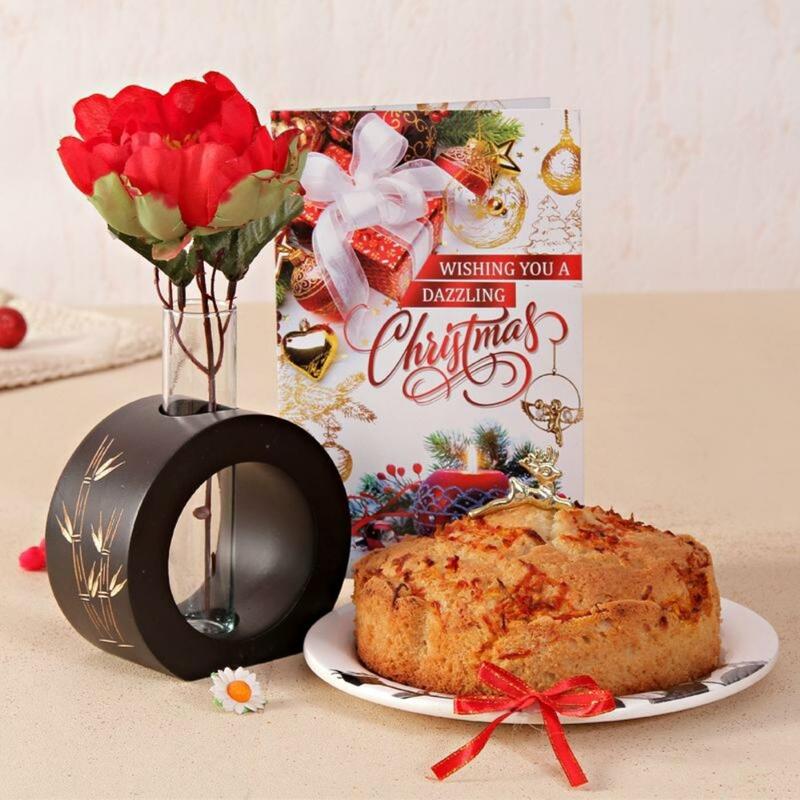 Imagine giving an unexpected visit to your loved ones with a parcel of carrot plum cake with round flower vase and a greeting card. Nothing can be a better Christmas surprise, don’t you agree? Spread the celebratory vibe among your loved ones with a delicious cake. You can buy egg-based or eggless black forest, chocolate, pineapple and more cakes on IGP. 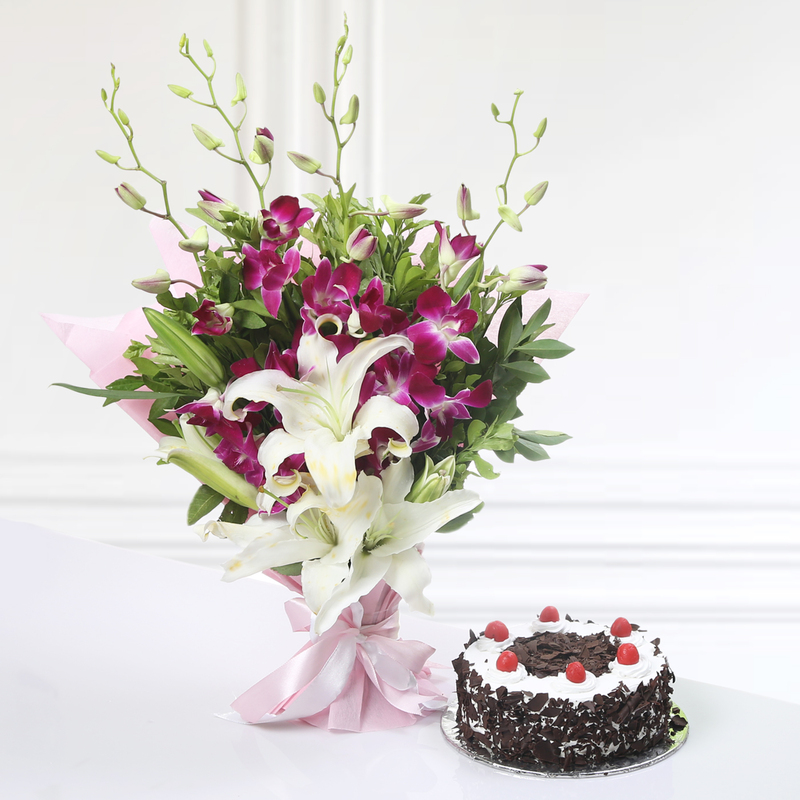 Add in a lovely flower bouquet and your gift will become more special, without you putting in the slightest of efforts. You can find beautifully arranged bouquets of orchids, roses, lilies, daisies and more on IGP’s site. This gift hamper is available for express delivery, meaning you can order it on the day of Christmas and get it delivered on the same day within a few hours’ time. These are some of the trending Christmas gifts that you can consider giving your near and dear ones. You can send these Christmas gifts anywhere in India. You can also send Christmas gifts to USA, UK, Canada, Australia, Dubai, Singapore, and more easily from IGP.